How Does Water Distillation Work? What is water distillation, and how does it work? Here, Advanced Water Solutions will go over the basics of this water treatment method, so these questions will be answered! A water distillation system is simply designed to purify your water in an inexpensive, quick, and effective way. 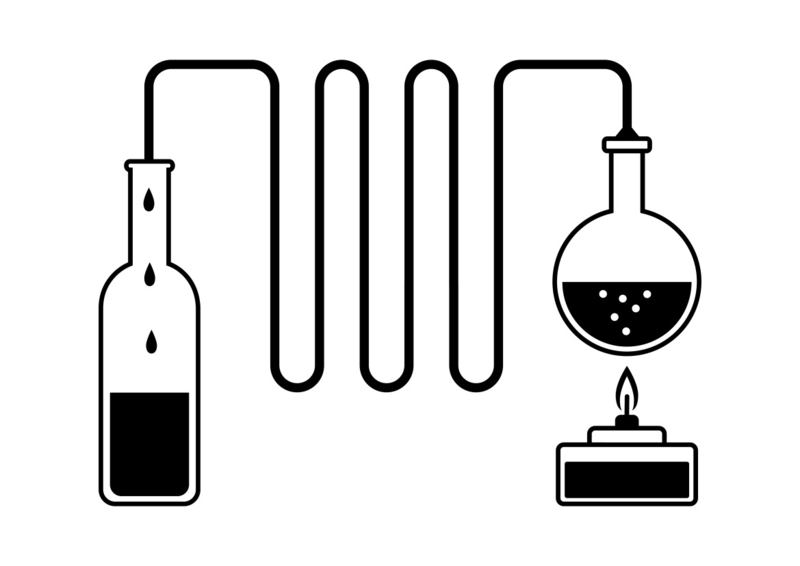 You only need two things to set up simple distillation: a heat source and a condenser. Water has a lower boiling point than the contaminants and minerals within it. This means that if you boil untreated water, the water will turn into vapor and leave everything else behind. Then the condenser lets the steam return to liquid water in a separate area from where it started. This is the concept behind purifying water through distillation. Let’s go over a brief history of water distillation and how it works in more detail. You have probably distilled water yourself without even realizing it! People as far back as 200 AD have used the process of water distillation. The original water distillation processes were most commonly used to distill seawater into freshwater. As saltwater is heated, it evaporates and leaves the salt, a mineral, behind. However, this process of distilling seawater took a lot of time and money in its original form. The process did not become and cheaper until the Kleinschmidt Still was invented during World War II. Today, seawater is distilled through a flash-type evaporator, making it a fast and efficient way to get clean, distilled water to more people. Water distillation is a water purification process that uses a heat source to vaporize water and separate it from the contaminants within. Most frequently, the undesirable elements are what you find naturally in ground or surface water. Distillation heats untreated water until the water reaches its relatively low boiling point and begins to vaporize. The heat of the water is then kept at this temperature to maintain the water vaporization while stopping other elements from vaporizing as well. This process also helps to separate the water molecules from any microscopic disease-causing organisms. Once the water has vaporized, that vapor is then funneled into a condenser. Removed from the heat source, the water cools and reverts back to its liquid form and flows into a receiving container. Throughout the course of history, people have also experimented with using solar power for the water distillation process. This is due to the high cost of heating sources to start the process. This version makes use of solar power, which is more environmentally friendly than most other power sources. Household - A common type is a single-effect distiller that can easily be set on your kitchen counter or in your office. You simply pour a measured quantity of water into the system and the water is distilled, collected, and filtered into a reserve for you to use. Plumbing Distillers - These are units that can be installed into your home plumbing system or at your point of use. They distill water as you need it, making it a cost-efficient way to get the water distilled. They do require some maintenance, which includes draining off the sediments that accumulate at the bottom of the boiling chamber. These can cost between $300 to $1000 and will produce water for as low as $.25 a gallon. Commercial Distillers - Larger operations use multiple-effect distillers that allow them to provide from 75 gallons up to millions of gallons of distilled water per day. They contain multiple boiling chambers, allowing for more water to be distilled at a time. What Can Water Distillers Filter Out? Distillation is effective in providing clean water for both household and commercial use. It provides water with a clarity that is up to 98% free of impurities. These units are always being improved to increase efficiency as well as water output. This makes them popular and cost-effective for both homeowners and business owners alike. If you want more information on water purification processes, check out Advanced Water Solutions’ blog on reverse osmosis here!